Body mass and fGCM data collected on wild meerkats in the field. R codes for model 1a (body mass in emigrants, returners, and residents), model 1b (fGCM in emigrants, returners, and residents), model 2a (emigrant body mass during dispersal stages), and model 2b (emigrant fGCM during dispersal stages). Dispersal is a key process influencing the dynamics of socially and spatially structured populations. Dispersal success is determined by the state of individuals at emigration and the costs incurred after emigration. However, quantification of such costs is often difficult, due to logistical constraints of following wide-ranging individuals. We investigated the effects of dispersal on individual body mass and stress hormone levels in a cooperative breeder, the meerkat (Suricata suricatta). We measured body mass and faecal glucocorticoid metabolite (fGCM) concentrations from 95 dispersing females in 65 coalitions through the entire dispersal process. Females that successfully settled lost body mass, while females that did not settle but returned to their natal group after a short period of time did not. Furthermore, dispersing females had higher fGCM levels than resident females, and this was especially pronounced during the later stages of dispersal. By adding information on the transient stage of dispersal and by comparing dispersers that successfully settled to dispersers that returned to their natal group, we expand on previous studies focusing on the earlier stages of dispersal. 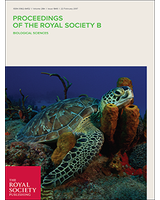 We propose that body mass and stress hormone levels are good indicators to investigate dispersal costs, as these traits often play an important role in mediating the effects of the environment on other life-history events and individual fitness.